Disclaimer: I was invited to an all expense press trip where I had the opportunity to meet some of the cast and the creator of the show. All opinions are my own. 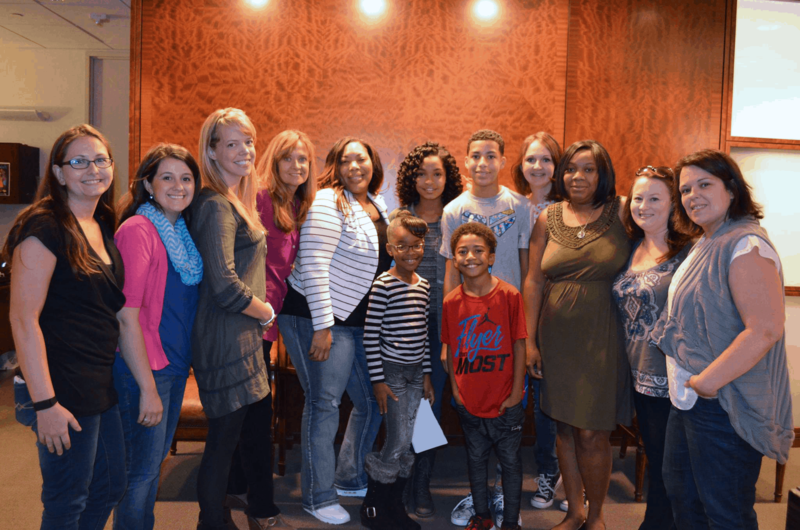 I had the opportunity to meet with the cutest and most talented little stars from the ABC new hit TV show, “blackish”. I interviewed Yara Shahidi who plays “Zoey”, Marcus Scribner plays “Andre Johnson, Jr.”, Miles Brown as “Jack”, and Marsai Martin as “Diane Johnson”. 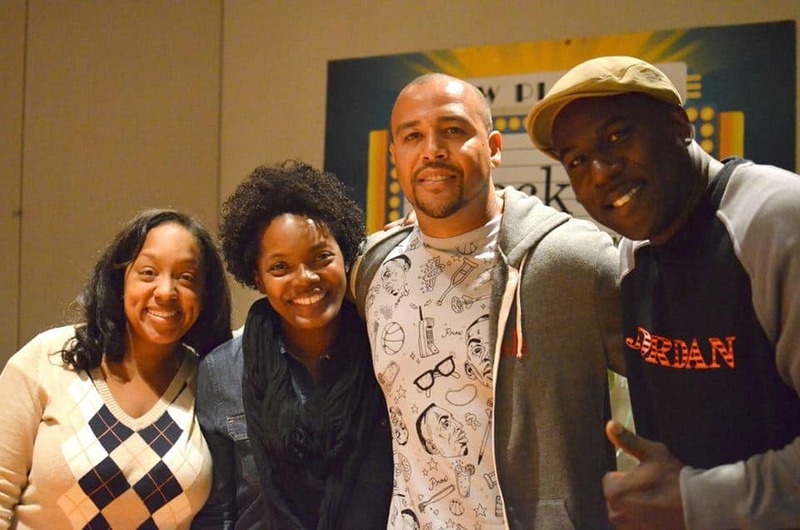 I interviewed not only them but the show creator and executive producer, Kenya Barris. We also met with one of the show writers, Lindsey Shockley. Should be a total of 24 shows. Based on the creator’s life. Every week writers go around the room and talk about their lives and tell real stories. Most of the plots and side plots are based on true stories from writers. The show is written to be accessible to all cultures but tell specific points of view from an African-American family. Working on the show doesn’t feel like “work”. Favorite episode was the Pilot. When it coms to being like Zoey, she isn’t anything like her. She actually spent her last summer in Oxford taking two history classes. She is very much different. She is in high school, and her school did something special for her because of the show. Amazing to get to work with all of the amazing comedic veterans. Favorite episode was the Pilot. It was so much fun! When it comes to being similar to Andre Johnson, Jr., he thinks he is. He plays lacrosse which is similar to field hockey, but he does play basketball too. Marcus’s family is extremely supportive of the show. He told the story of his grandma who is in sales and would brag about him and then sneak in a very sly, “so buy this necklace” type line! He feels like he is very close to his character. Considers this show as their “breakout roles”. She is the social media kind. And she says she is “quirky”. Doesn’t have any siblings and likes the computer. She is sporty and likes gymnastic and cheerleading. “My family is (pfffft) Ah-mazing!” Everyone in her family is amazing. She said her grandpa is the type that will be like” everyone is watching “black-ish” or I will sock-em!” Marsai had us laughing so hard! He wanted to tell the story from the characters point of view. 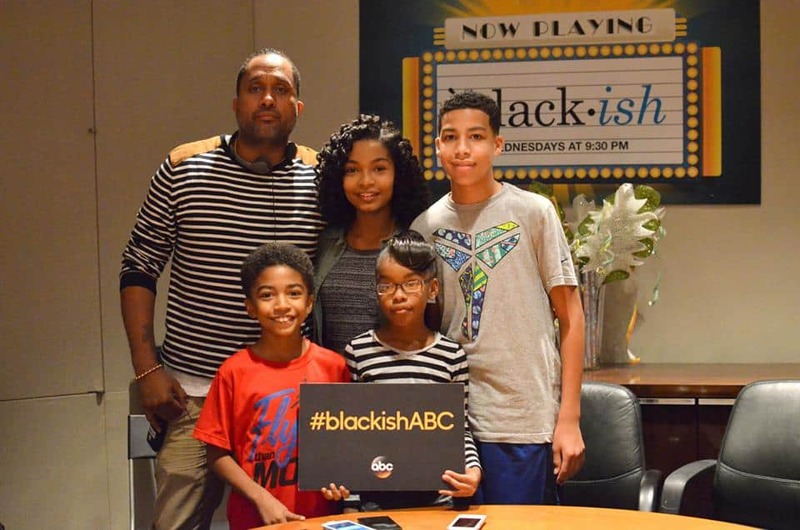 He came up with the name “black-ish” because it means that he doesn’t feel like their are white and black kids in American anymore that everyone is just sort of “black-ish”. When you have a bunch of parents in the room, they want to talk about their kids. So we ended up putting the parents on the hot seat and they are amazing! Lets say that Marsai had it right when she said that her family was “Ah-mazing” that the parents are amazing too! Be sure to catch the show on ABC’s Wednesdays at 8:30 CST! You can get caught up on all the shows by going to abc.go.com HERE or HULU! It sounds like a cute show and I’m ready for great shows with a great script and fun cast. I’ll look for it to watch. Sounds like a great trip and experience. I am not familiar with this show I will have to check it out! Sounds like an amazing trip! I have never seen this show. I will have to set my DVR for it! We’ve been enjoying this show and DVR it every week. There are a couple cast members that are starting to grow on us, but we’ve always loved Anthony Anderson and a number of things he’s been in.